Can I Stack Jack3d and OxyELITE Pro? Question: Hi – I want to know if I can take both Jack3d and OxyElite Pro on the same day. Please let me know! Hi – No, I’m sorry – according to the label usage, you should NOT mix either of these together. In fact, you should not mix either one with any stimulant-containing product (not even coffee). Jack3d and OxyELITE Pro are both powerful stimulant-based supplements. Your choices are either to take Jack3d on workout days and OxyELITE Pro on off-days, or to use OxyELITE Pro 100% of the time, and use it as your pre-workout. If using OEP for a pre workout, consider stacking in Yok3d pre workout if you want more pumps. 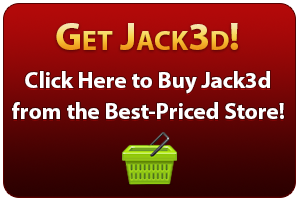 We also have some other ideas on our Jack3d Stack page. Check it out!